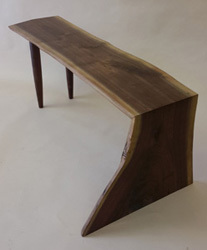 A walnut “Y” shaped slab created the opportunity to build this table. 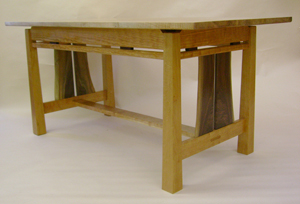 Each leg is mitered and reinforced with mortise and tenon joints. 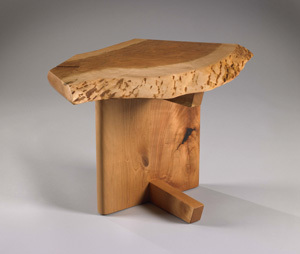 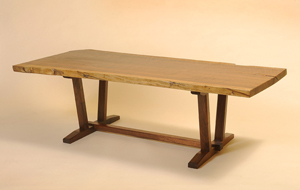 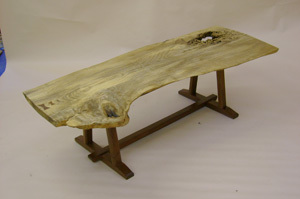 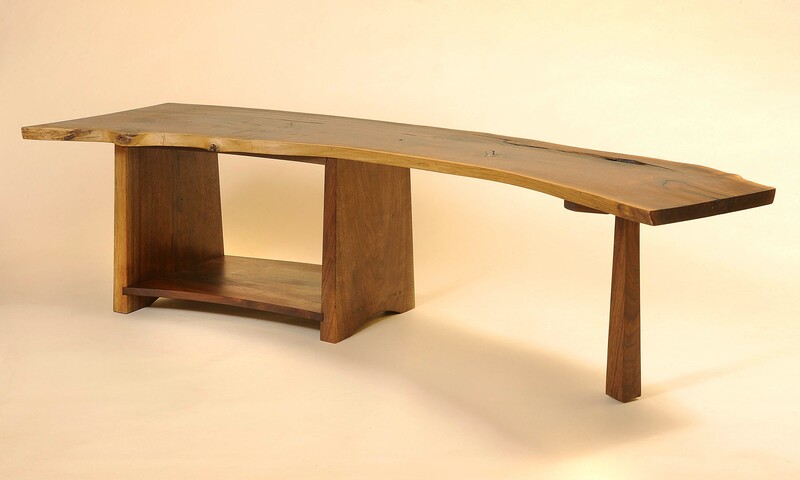 natural slab bench with two turned legs and one waterfall leg. 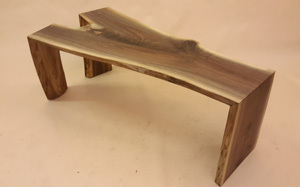 can be used as coffee table or bench. 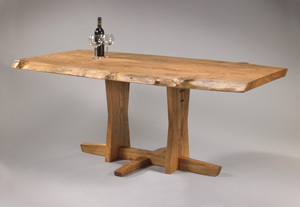 This table base is suited best for a small slab not more than 5′ long. 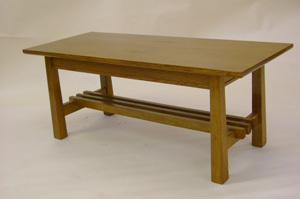 The open base allows plenty of leg room on all sides. 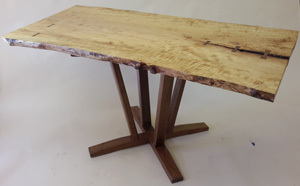 Table shown is a maple slab top and walnut base. 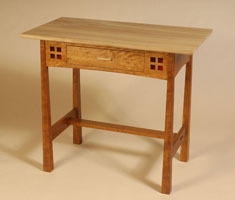 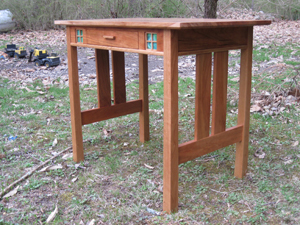 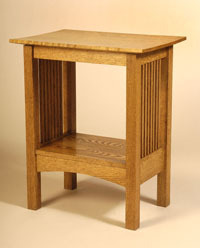 Contemporary version of mission style tabouret. 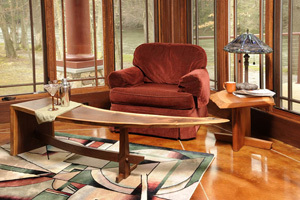 This table features a top that appears to float above the base. 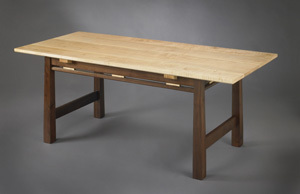 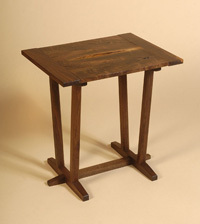 Features tapered legs and mortise and tenon joinery. 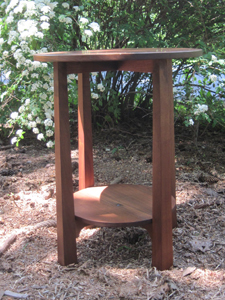 Bistro table 36″tall with open pedestal base. 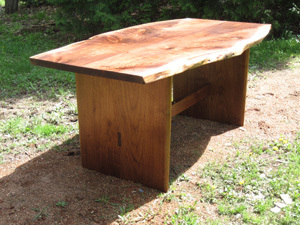 Single piece slab top. 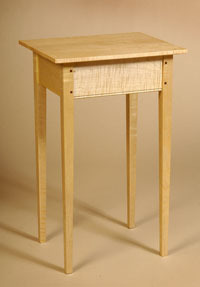 Single balanced upright with outriggers for lateral support. 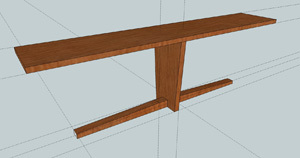 Coffee table height , side table height, or buffet height. 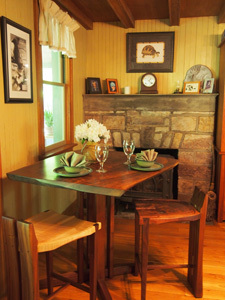 Dining table with butterfly uprights. 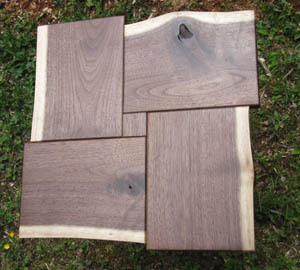 This base is best suited for tables less than 6 foot long. 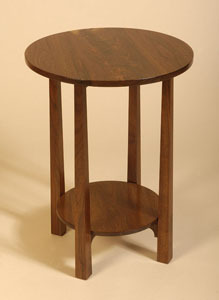 The wane edge (natural edge) of two consecutive walnut planks opened the possiblility to create this little accent table with a negative space in the center of the top. 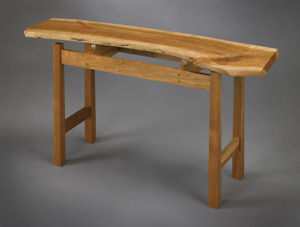 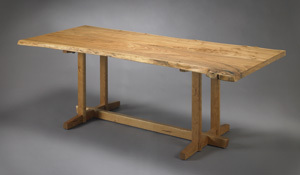 The open base of the table contributes overall lightness of the piece .